McBee Smith Obituary - Toledo, Ohio | The House of Day Funeral Service, Inc.
Obituary for McBee Smith Jr.
McBee Smith, Jr. 86, Went to be with the Lord on September 13,2017, in Hospice of Northwest Ohio's facility surrounded by his loving family. He was born May 27, 1931 in Lexington, Mississippi to parents McBee,Sr. and Eula C. (Green) Smith. McBee Jr. was a 1950 Graduate of Ambrose High School. He was a veteran of the United States Army and of the Korean War. His responsibility was delivering ammunition on land and water with an amphibian tanker. McBee migrated to Monroe, Michigan in 1954 and after a car accident he moved to Toledo so his brother J. G. could take care of him. He later started working at Unicast as a sand mixer, working that assignment until he retired 42 years later. 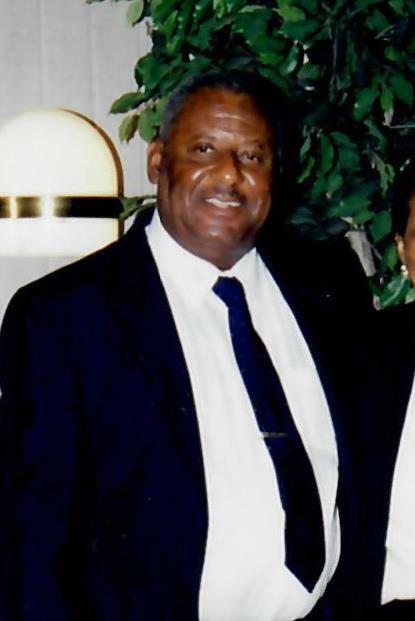 He was a member of the Greater Saint Mary's Baptist Church for over 50 years, where he served as Chairman of the Deacon Board and numerous offices of the church. He was a rhetorician* speaker and proudly spoke at church functions from coast to coast and throughout the city. At the end of his speaking the cheers would build to a crescendo of adoration. He loved to watch sports, hunt and he was an International Checkers player. You had to be good to beat him at checkers. McBee was married to the love of his life, Addie Mae (Bryant) Smith for 45 years until her passing in 2010. Eula C Smith, sister, Annie B. Baker and two brothers, James G and Paul Smith. The family wishes to thank all the family, friends, Senior Pastor Robert Lyons and the Deacon of Greater St. Mary's Baptist Church, the employees from Glendale and Heatherdowns Assisted living, The UTMC, Physicians, Hospice of Northwest Ohio and Toledo Laskey Dialysis and employees. To send flowers to the family of McBee Smith Jr., please visit our Heartfelt Sympathies Store.